Kodiak Seating Systems » Royal Stewart Ltd. The days of bad seating are behind. We get it – you would rather play the game than watch it, but if you’re going to be a benchwarmer, at least stay comfortable while doing it. 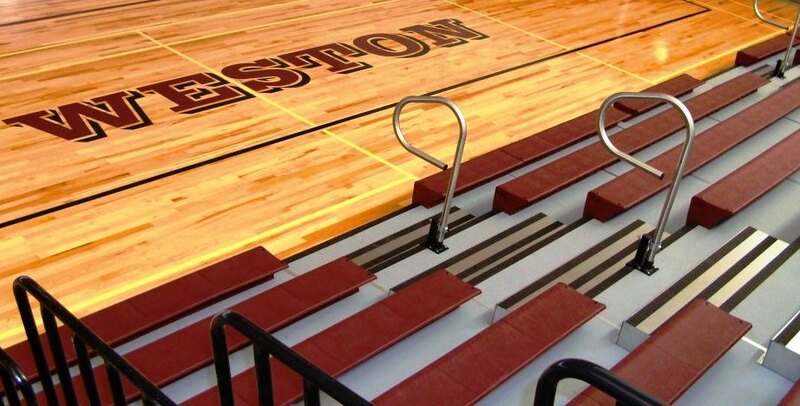 Our bleachers aren’t your typical cheap seats at a sports arena, but more like an operating system that will make you want to cheer while sitting down. And who knew those contoured seat modules came in 14 vibrant colors? With Royal Stewart, your options for both quality and visual appeal aren’t compromised. If you have been to an Elementary, Middle School or High school lately, you will know that the best class is high-class. 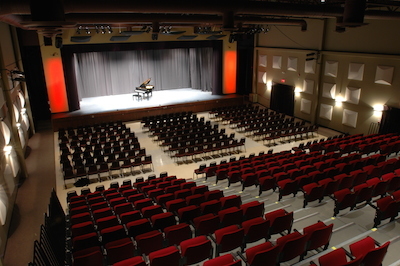 Which is why our spectator seating is not only comfortable, but also safe. In the name of noise, we want to keep you safe as you scream for your favorite team. We ensure our products are perfectly tailored for both the rambunctious sideline supporters and the more subdued cheerleaders. Not to brag, but Royal Stewart has supplied two Pan American games (1967 and 1999), two Olympic games (Montreal and Calgary), numerous Canadian facilities such as the Universities of Lethbridge, Regina, and Winnipeg as well as many others in North America and abroad. Our portable, retractable and fixed spectator and theatre seating options are made durable so you can unleash your enthusiasm by stomping, jumping, and hammering your way to a win. 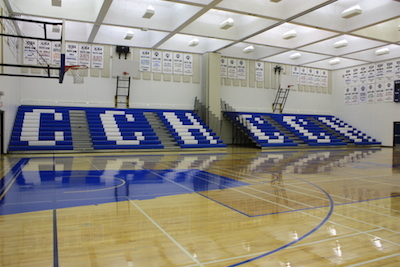 We also do outdoor aluminum grandstands and heavy duty angle frame bleachers. We’ll guarantee a blister-free behind that won’t make you break the bank. With RSL’s spectator seating, watching the game has never felt so good. Now you must be thinking, what about all the difficulties that come with space planning and layout? With our experienced team, we can simplify the process and discuss all aspects of your program requirements to achieve success. Your plan is our plan.